£50 non refundable deposit at time of booking paid by BACs or cheque and the balance to be paid 6 weeks before the holiday start date. Booking form to be completed and returned when the deposit is paid. 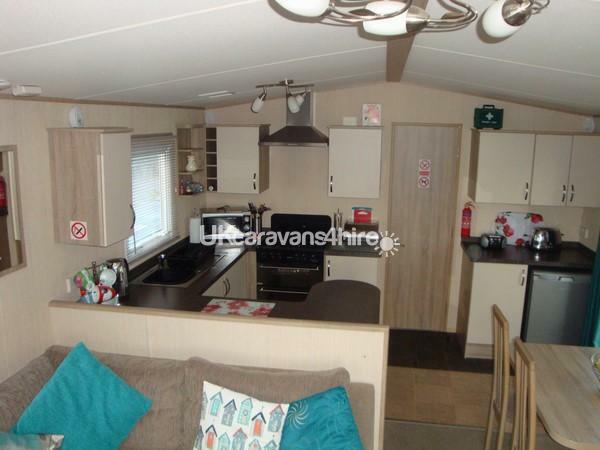 This Polaris caravan, is bright, spacious, and benefits from double glazing, central heating, a double parking bay, a ramped entrance with secure gate, leading to a large balcony, with patio furniture. There are splendid views of both, New Quay Harbour, and Cardigan Bay, where dolphins are often observed. It is situated in a quiet cul-de-sac, a short walk from the main site club house, swimming pools, play areas, crazy golf and the site shop. 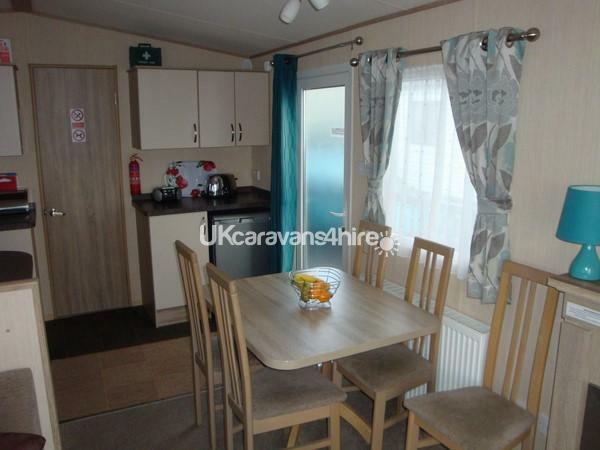 The caravan has a cosy open plan sitting/dining/kitchen room, with 32” HD TV (with built in DVD), and Sky TV channels. The kitchen area is well equipped, and the layout makes it easy to prepare and serve meals, stress free. 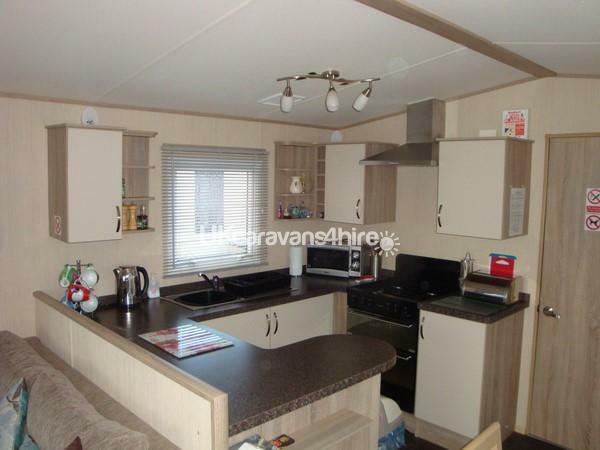 The caravan has three bedrooms; a double, two twins, all with storage cupboards, and a sofa bed. A travel cot is provided for the little ones. The double bedroom has a wall mounted TV with built in DVD. There is a double shower with WC, wash hand basin, and storage. There is also a separate WC with hand basin. Duvets and pillows are provided - Please bring your own bed linen, towels and tea-towels. Clubhouse passes are not included. In addition, there is a selection of games, DVDs, CDs and books, for the occasional rainy day, we are in Wales, after all. For the sun drenched days, there is a variety of beach toys, in the bench outside. Extras include a portable radio/CD player, vacuum cleaner, a clothes airer with pegs, and a steam iron and ironing board. 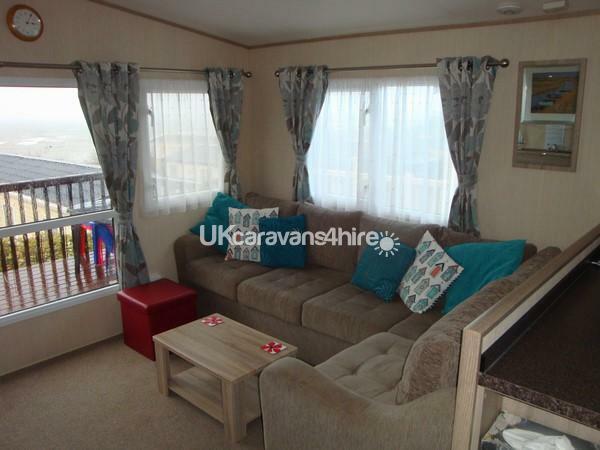 We regret that we cannot allow pets, and this caravan is strictly NO SMOKING, but we do offer all the comforts of home, for however long you stay. Short breaks available low season and late availability - please enquire. This is our 4th time staying in this caravan. 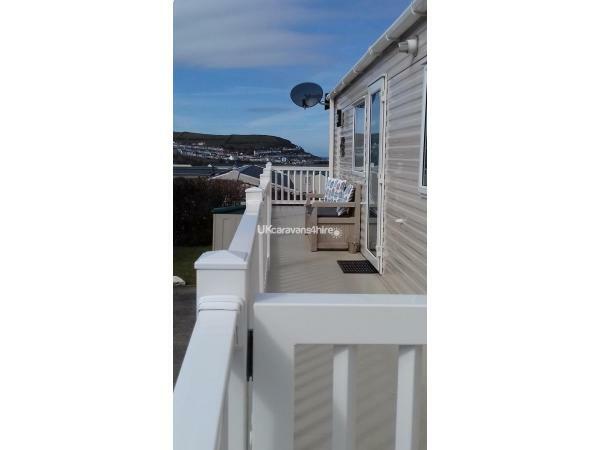 We keep returning because of the fantastic value for money we feel we receive from the caravan and Karen the owner, stunning clean well appointed caravan with breathtaking views of the sea and new quay harbour. 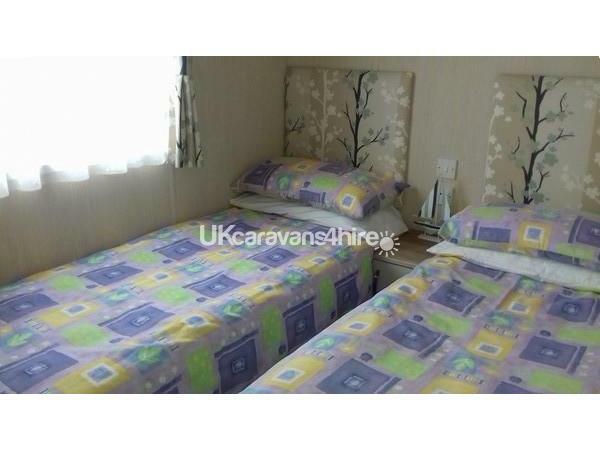 Situated in a peaceful location not to far from all the amenities that quay West holiday park has on offer. absolutely amazing experience from start to finish. Karen was very helpful and answered any questions I had straight away. Caravan was immaculate, view was breathtaking and we were sad to leave. Even managed to get a tesco shop delivered direct to the caravan. would reccommend this lady and her caravan to anyone. Wow! If I could have awarded more for value for money I would have. From booking caravan to leaving everything was seamless. Karen very helpful, providing all information quickly and booking process easy. The photograph doesn't do justice to the view from the balcony. The weather was fab so we ate breakfast and some evening meals on the balcony. We sat out just looking at the view into the late hours, just so restful. 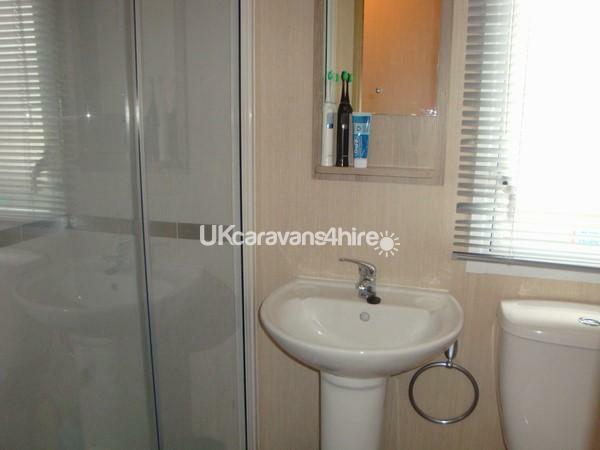 Caravan spotlessly clean and very comfortable with everything we needed. Nice sandy beach about 5 minute walk away. Would highly recommend and will be looking to return some time. Difficult to find anything negative to say. We went just outside peak season and we had no problems using amenities at Quay West site and also relatively easy parking in New Quay. However, at peak times this may not be the case. I suspect will be better to time your beach visit and walk to New Quay when tide out, it wasn't that far at all. Absolutely fantastic! 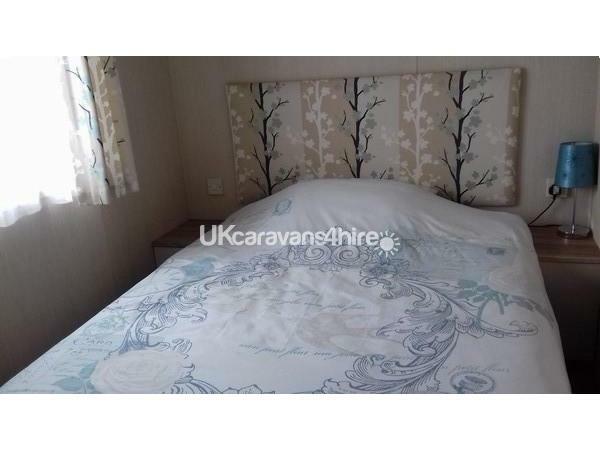 When I booked I was a little dubious as to what the caravan would be like as the price was so cheap but when we got there we were totally amazed. 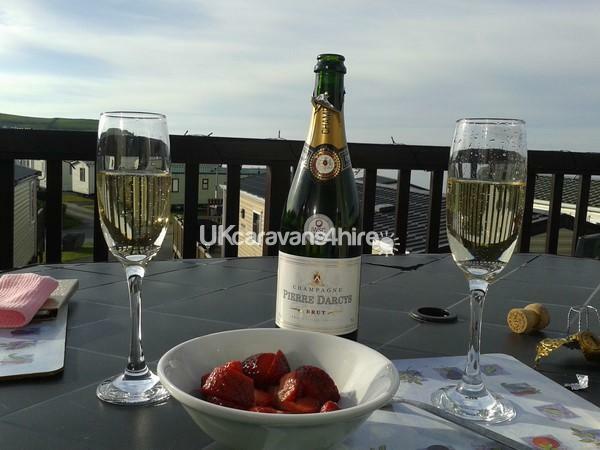 The caravan was immaculate, like new actually, beautifully furnished, the rooms were spacious, you don't need for anything and not to mention the amazing views which you can actually admire out on the decking while having your breakfast which was bliss. There are loads of toys for the beach, games, dvds and books to keep the children happy and a big bonus is the shower was fantastic, usually caravan showers can be a bit weak but this one was great. We also loved that we could arrive at 10am and checkout wasn't until 2pm the day we left, which gave us time to go to the beach before coming back and packing the car up. We have stayed at this holiday park a couple of times before and it is the best place we have been to by far, it is brilliant for children, there is so much to do and it is only a short walk to New Quay and the beach. Karen was great when booking, fast replies and very pleasant. We couldn't fault her or the caravan one bit, it was absolutely amazing and we have had the best holiday we have ever had. We will definitely be booking with her again, in fact we wouldn't go anywhere else!